christmas on a lathe cut ~ Christmas A Go Go! This is very special. A lathe cut is a record which is cut manually. It's a lot of work but this way you can make a very limited edition. 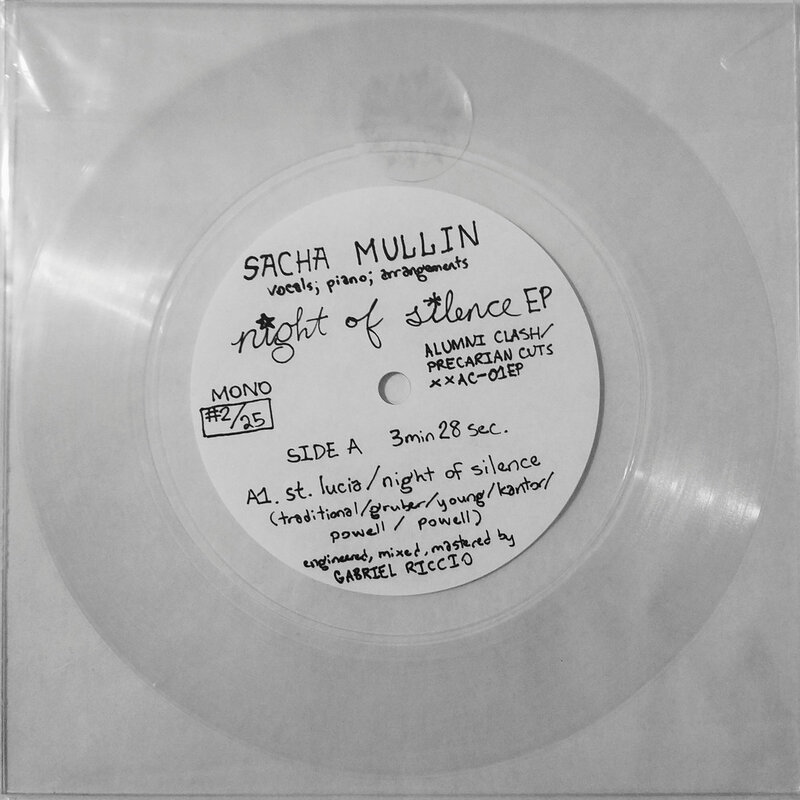 Avant-garde muscian Sacha Mullin from Chicago, did release his 'Night Of Silence EP' as a very limited lathe cut, in an edition of 25. 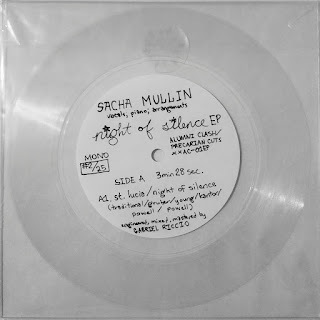 It has three tracks: ' St. Lucia/ Night Of Silence', 'Kissing The Christmas Killer' (a Japanese original) and 'Gloria'. You can also get the songs digital. On his bandcamp, where you can also listen to these remarkable tracks.